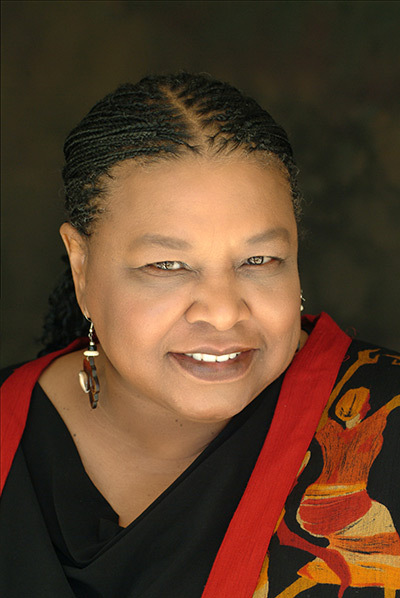 Actor, poet and educator Billie Jean Young will present her one-woman show, Fannie Lou Hamer: This Little Light, at Samford University Tuesday, Feb. 13. The show, part of Samford’s 50th year commemoration of the integration of its student body, will be in Brock Recital Hall at 6 p.m. Admission is free. Young, artist-in-residence at Judson College in Marion, Alabama, has presented her show about civil rights icon Hamer more than 800 times on four continents. Hamer, the daughter of Mississippi sharecroppers, was a voting rights activist and community organizer primarily in Mississippi. She was instrumental in organizing Mississippi’s Freedom Summer for the Student Nonviolent Coordinating Committee and was vice-chair of the Mississippi Freedom Democratic Party, which she represented at the 1964 Democratic National Convention in Atlantic City, New Jersey. Young is also associate professor of fine and performing arts at Judson. The holder of a MacArthur Fellow "genius grant," she is a graduate of Judson and Samford’s Cumberland School of Law, where she earned her law degree in 1979. Young has also taught at Jackson State University and Mississippi State University, Meridian.